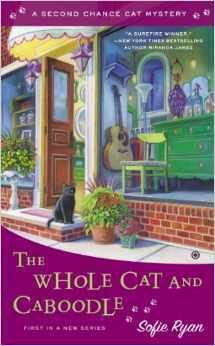 In the Second Chance Cat mysteries Sarah Grayson runs Second Chance, a repurpose shop. She sells furniture, dishes, quilts, pillows, books and more. Many of the items have been restored or refurbished. I love stores like Second Chance. Thrift shops, second hand stores, flea markets, they’re all great places to find material for my creative work. As a collage artist I’m captivated by magazines, maps and sheet music, photographs, books and costume jewelry. I admit to doing a little happy dance in the aisle at one of my local thrift stores when I found a pure wool blanket, perfect for cutting up to use when I’m drying handmade paper, for only $5.99. On one hand, these kinds of stores are full of endless ideas for artistic endeavors. A box of buttons. A stack of postcards. On the other hand, the urge to buy all the things can result in a work space in which there’s so much stuff there’s nowhere to work. Over the years these are the guidelines I’ve found that work for me. Is it on my list? At any given time there are specific things I’m looking for. Right now on my list you’d find cheap brushes, the kind that come with children’s paint sets, I like them for gluing; a book on fish, inspiration for a collage piece I’m planning; and green fabric. Coming home with a bag of sponges, a book of sheet music and a square of flaming orange fabric could lead to all sorts of fun projects but they won’t help me finish the ones that I’m already working on. Will I use this in the next couple of months? I live in a small house and have an even smaller office. I have one cupboard for art supplies. And I’m a bit of a neat freak. That means I have to think long and hard before I buy something. So “yes” to the box of buttons and the wool blanket but “no” to the former classroom map of North America. Will I use all the parts? Just about everything I buy for a collage piece gets cut up or taken apart. Bracelets are disassembled. Maps are cut into pieces. Shanks are snapped off of buttons. Recently I was taken with the flat, black medallion on a chunky beaded necklace. It looked like an over-size washer. But I couldn’t think of anything I’d do with all those chunky, angular beads. So, reluctantly I left the necklace behind. Is it in my budget? I have a budget for art supplies. (It makes my little math geek heart happy.) No credit. No debit. Cash only. It forces me to think twice about buying things like that big parrot poster. I’ve never been sorry about not overspending. Can I be flexible sometimes? This rule is why I have two boxes of buttons in my supply cupboard and that piece of flaming orange fabric I mentioned earlier. Because once in while it’s okay not to follow the rules. Sometimes you just have to yield to inspiration. And really, can you have too many buttons? When Sarah Grayson isn’t repurposing furniture in her Second Chance Shop, she’s receiving a command or two from a black cat named Elvis. Elvis clearly adopted her. When her grandmother asks her to present a free workshop for the folks at Legacy Place, Sarah agrees. She also wonders what was taking her grandmother’s friend, Maddie, so long to turn up. She learns the delay may be caused by Maddie’s new boyfriend, Arthur Fenety, the same smooth character who tried to sell her a silver tea set. Shortly after Sarah and her grandmother’s friend, Charlotte, find Maddie and Arthur in Maddie’s backyard. Maddie seems to be in a state of shock and Arthur is dead. When they call the police, Nick Elliot, from the Medical Examiner’s office arrives and Maddie is arrested. When the cause of death is determined, Maddie seems to be in a garden bed of trouble. It will be up to her friends to weed out the real killer and get Maddie off the hook. What I loved about The Whole Cat and Caboodle were the characters. It was wonderful to see seniors playing the role of amateur sleuths. They had a lot to offer and equally important was the fact that they enjoyed being productive as an investigative team. There was just enough repurposing of estate sale items to keep you interested and make it feel as if life didn’t simply stop. Business had to go on as usual. The storyline, in terms of what led Arthur into the danger zone, is very realistic. It’s probably happening in the United States, or the world, for that matter, right now. The author keeps you wondering who did it and surprises you. Looking forward to the next Second Chance Cat Mystery.